Request free quotes for global relocations! Moving to a neighboring country or somewhere on the other side of the world, global relocations are a specialist area that really can save you a lot of unnecessary stress. The logistics involved with a global relocation are not to be taken lightly, so take advantage of the expert services offered by professionals and request free international moving quotes with Intlmovers! Packing up your home or business for a relocation in another country might sound simple but that is just part of the process. Global relocations involve careful planning, good organization and through preparation. Intlmovers is a quick and easy way of comparing a number of international movers who focus on global relocations and their associated services. 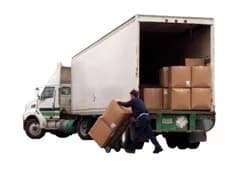 Using Intlmovers is a quick and easy way of requesting up to six quotes, because you don’t have to keep repeating yourself or searching around. One request, multiple quotes – saving time and money is what it is all about. By comparing quotes, you can compare the overall services that are available and make a much more informed decision about your freight forwarder. The international movers have years of experience with global relocations. When you are moving internationally and arranging a global relocation, you may be going through a mixture of emotions. Often there is the excitement about your new destination and new opportunities. The new experiences in a different culture as wel. Global relocations can be also be difficult when you are leaving family and friends. Your home and everything that you have known and become used to as wel. It is completely natural to feel a number of strong emotions, not least of which is stress. This is why global relocation companies can offer additional services to help put your mind at ease. Certainly, moving a family with small children is a very different experience from a student moving to discover a new life. Global relocation services often assist with other important aspects of your move. As getting your boxes and furniture to your new international address. They can assist with finding accommodation or providing recommendations to local schools or childcare. They have contacts globally that assist with advice and references for local services and facilities. Getting in touch with a global relocation company can really help set your mind at ease. It will help you (and your family) enjoy your international relocation much better. In addition to the move itself, global relocation companies offer a wealth of experience that can assist you valuable services such as packing, unpacking and storage as well as helping you find accommodation, schools and other local services at your destination. Experience really can make your move easier. You may receive anything up to six offers back in response to your global relocations quote request with Intlmovers. You are free to take your time and review your options. Which can be a worthwhile exercise for saving on international moving costs. However, you are under no obligation to accept any of the quotes that you receive. All quotes provided by Intlmovers partners are provided obligation free!